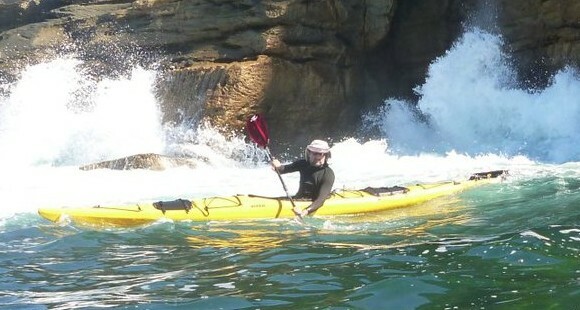 Recently I was lucky enough to catch up with Jim Kakuk, co-founder of the Tsunami Rangers, over lunch here in Sydney. 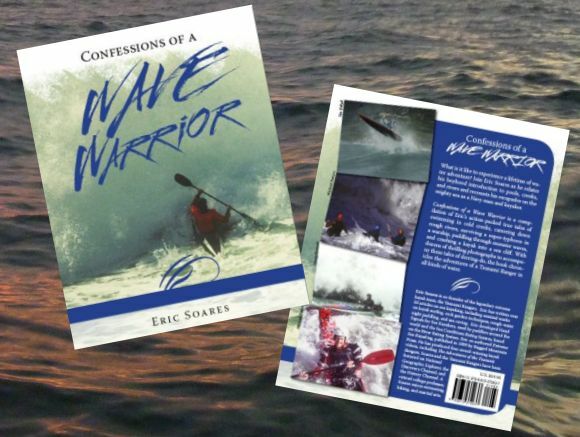 His parting gift to me was a copy of “Confessions of a Wave Warrior” by Jim’s good mate Eric Soares. 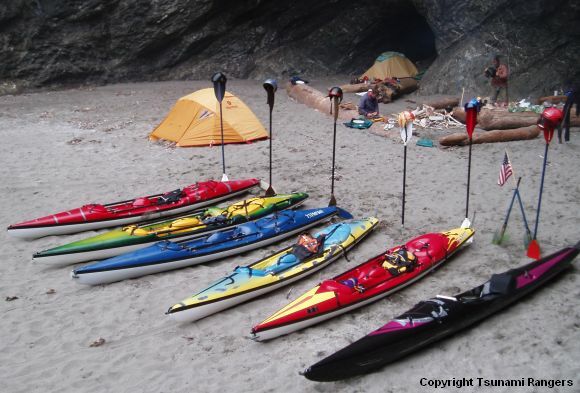 The book chronicles Eric’s growing love affair with water from the moment his father taught him to swim to the glory years surfing through Californian rock gardens with the rest of the Tsunami paddle tribe. But this isn’t just a book about one man, but rather about a paddle culture that evolved and thrived amongst wild coastline, surf and rocks. A culture of thrills, skills and spills. A culture embodied completely by the rock gardening buccaneers known as the Tsunami Rangers. As the title suggests, this is a book of confessions. Of mistakes made, lessons learnt, and disasters averted. It is a collection of short stories about this famous group, each told with both humour and reverence for the ocean. 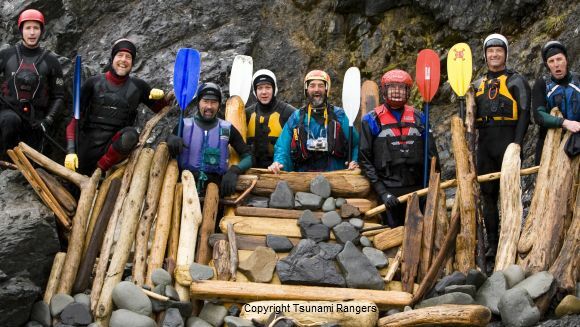 The stories chronicle the history of the Tsunami Rangers, the development of their unique open-decked surf boats, the quirks of its individual members, and of the pirate-like ethos that lead to the famous “unofficial races” which the Rangers ran for a number of years on the West coast. This is not a book about recklessness however. The skills development requried to reach the official ranks of the Rangers took many years to attain. 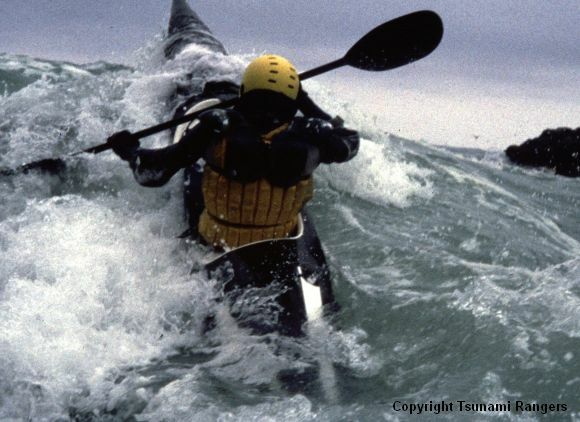 High standards of personal fitness, swimming strength and ability to read ocean and sea states were required on top of the extraordinary paddle skills needed to survive riding waves into sea caves and amongst rock formations. The book gives insights into how these skills were crucial and expected from all potential rangers, but also how even having these skills might not be enough to handle all conditions. In the end, this is a book about living. 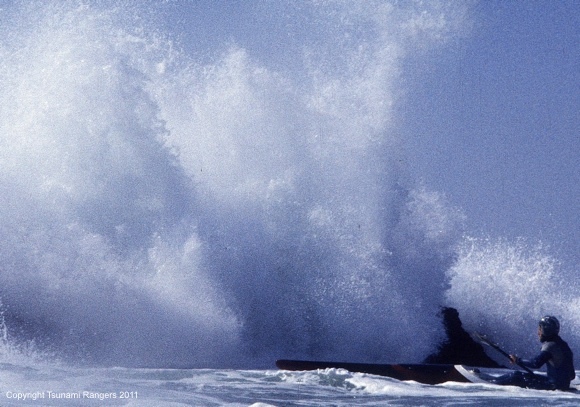 From Eric’s early childhood memories rafting down swollen rivers with friends, to the heady days racing with his bretheren amongst reef and rock, and including his health scares in more recent years, this is a chronicle of living life to the full. It is a book about deep friendships, shared experiences, and above all about Man’s place in the water and the world. 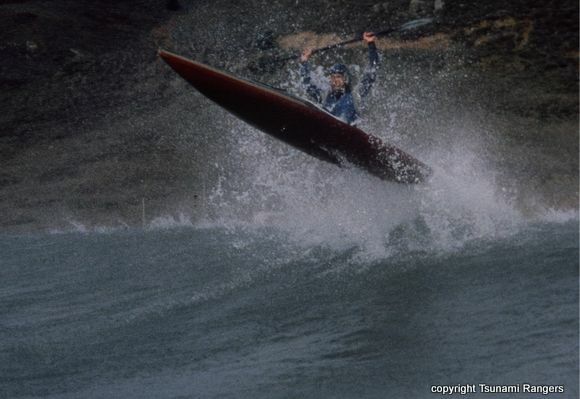 All images copyright of Tsunami Rangers and are used with permission from the author. Thank you FP for writing such a nice review. I do appreciate it!